Bolivia beckons travelers with a wealth of remarkable experiences for travelers, from taking ride in a traditional reed boat on Lake Titicaca, the largest lake in South America, to cruising along the Salar de Uyuni, the world’s largest salt flat, a primary breeding ground for several species of flamingos. Stunning landscapes combine with rich cultural highlights such as the 16th century city of Sucre’s city center that features narrow streets reflecting the Andalusian culture and colonial churches. About a third of the country sits within the Andean mountain range before sweeping from the high peaks in the West to the Eastern Lowlands in the Amazon Basin. It has five neighbors on its borders – Brazil, Paraguay, Argentina, Chile, and Peru. Rich in culture, the country’s 11 million people encompass include Amerindians, Mestizos, Europeans, Asians and Africans. While Spanish is the official and predominant language, more than 36 indigenous languages have survived and also have official status. The most common of those are Guarani, Aymara and Quechua languages. Before the Spanish arrived, it was the center of the ancient Tiwanaku Empire, and from the 15th to the early 16th centuries it was a part of the Inca Empire until the Spanish conquistadors arrived and gained control. Much of Spain’s colonial empire was paid for with Bolivian silver. But by the turn of the 19th century, the citizens became restless for independence, which came in 1825. Today Bolivia is a charter member of the UN as well as several other international organizations. Its main economic drivers include agriculture, forestry, fishing, mining and manufacturing goods such as textiles, clothing, refined metals and refined petroleum. Bolivia is rich in minerals, including tin, silver, and lithium. This bodes well for the country’s future as does it’s growing popularity with seasoned travelers. Indeed, Bolivia should decidedly be on your travel list, whether you are looking to explore the indigenous Indian Market and Witch Doctor’s Market in La Paz, or go trout fishing in Lake Titicaca, or hike through small villages, wetlands and archeological sites of the Tunupa Volcano region. Discover the best of Bolivia with Big Five. Chile has a vast repertoire of adventure settings from icy Patagonia to far off Easter Island to dramatic Atacama Desert. 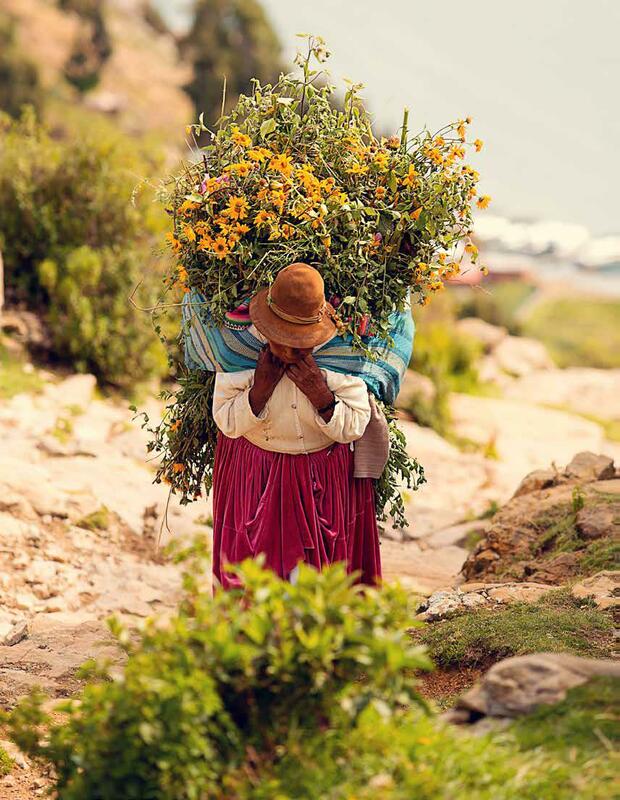 Bolivia shares Lake Titicaca with Peru, and one-third of Bolivia’s terrain is spread across the Andean mountains. Bolivia became one of the furthest points of the Inca Empire. Both countries offer a wealth of culture and cosmopolitan cities, and both should be on your must-see list.